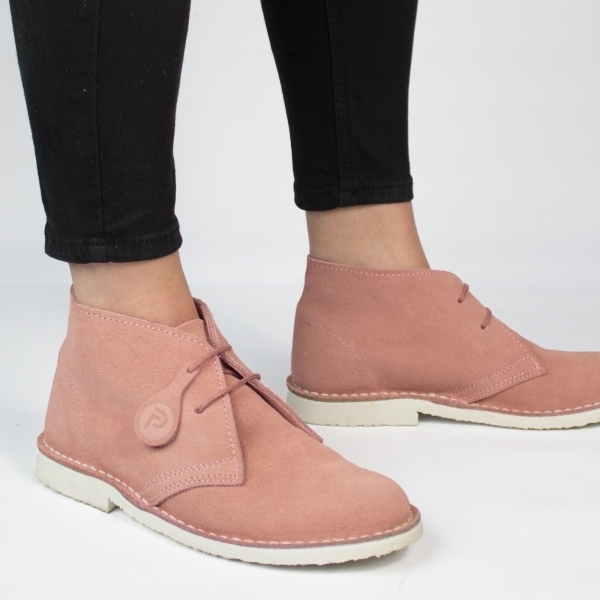 DesertBoots.com presents the Pastel ladies desert boots, by Popps. With a selection of pastel colours to choose from you can't go wrong with this classic design that implements a suede leather upper and no lining to maximise the breathability. The durable textured synthetic outsole will keep your feet firm on any surface.